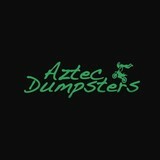 Aztec Dumpsters is a trusted dumpster rental service in and around Salt Lake City, Utah. 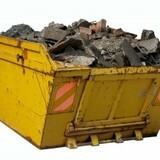 Our roll-off bins are perfect for any commercial or construction waste removal need. We also provide mulch delivery and concrete removal services. 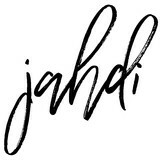 Contact us for pricing and scheduling. L’Hotes Handyman/Hauling Service is Salt Lake City, UT’s best junk removal company with over 16 years of experience. We can remove just about anything, so whether you’re cleaning a cluttered house, moving, remodeling, ready to unload a junk car, no longer using that old washer in the garage, or just have some junk, we can help! We offer competitive junk removal rates and even pick up most scrap metal and appliances! Rates may apply for pickup. The list of junk we remove is endless, but here’s a sampling of what we’ll pick up: • Appliances—Water heaters, dryers, air conditioners, stoves, ovens, double ovens, ranges, microwaves, barbeques, dishwashers, washers, front loaders, swamp coolers, lawn mowers • Vehicles and Parts—Cars with titles, motorcycles, trailers, ATVs, riding mowers, 3-wheelers, 4-wheelers, snowmobiles, car batteries, aluminum wheels • Furniture and Construction—Bed frames, steel tubs and sinks, fencing and pipes, exercise bikes • Even E-Scraps And E-Waste—Computers, laptops, printers, fax machines, cameras, other electronics • Anything Not On This List—Call us and ask—we’ll probably take it! If you need junk removal, you’re much better off calling us rather than your local trash company. Many trash companies have limiting restrictions on what they’ll pick up. Don’t get left with a large appliance and old electronics sitting on your curb—we’ll take it all! Plus, our junk removal is environmentally friendly. 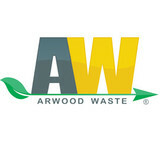 Your trash service will take your junk straight to the dump so it can make its way to landfills. L’Hotes Handyman Service offers responsible junk removal. We’ll fix and reuse what we can and recycle the rest. We make junk removal easy and convenient for you. We’re commercially licensed to provide junk removal service for all of Utah, including Salt Lake City, Salt Lake County, and the counties of Davis, Weber, Tooele, and Summit. For green junk removal that the earth loves, contact us today. We responsibly reclaim and repurpose manufacturing and industrial waste, byproducts, remnants, excess, and bulk materials. We also salvage buildings prior to demolition and provide a "green" & donation-based alternative to building demolition: deconstruction. Asbestos Abatement Services is equipped and qualified to inspect commercial and residential residential properties for asbestos and take the steps necessary to ensure it is correctly removed and disposed of. We hold safety as our topmost priority and go through continuous training to keep up to date on the latest findings and developments in our industry. There are full-service junk removal companies in Layton, UT that help with everything from clutter and hoarding cleanups to appliance recycling to donating unwanted items. Keep in mind that you may need professional help removing certain items from your home, particularly if they’re toxic or unstable. Here are some related professionals and vendors to complement the work of junk removal: Tree Services, Environmental Services & Restoration, General Contractors, Home Builders, Landscape Contractors. Find rubbish removal professionals on Houzz. Narrow your search by city or zip code for a list of Layton, UT rubbish removal services. Get contact information so you can ask about rates, and read customer reviews to find the best rubbish and trash removal service for your home improvement project.